IntraMAX 2.0 is an all-in-one, organically bound liquid vitamin in a trace mineral base including a source of over 415 nutrients and both vegetarian and hypoallergenic. It contains over 65 organic, trace minerals, superfoods and phyto-nutrients. It's low glycemic, vegetarian, hypoallergenic and contains no chemicals. IntraMAX® was created by Dr. Richard Drucker, M.S., N.D., Ph.D. Dr. Drucker's health issues prompted him to shift his focus from school to his own health. He began his own search to determine the impact of good nutrition on his health. Through this he discovered that minerals were essential in supporting the body’s functions and that minerals can be readily absorbed on a cellular level when combined with natural organic compounds. The results of his research led Dr. Drucker to formulate the intraCELL Technology which is now used in all intraLINE products. Each product (intraMAX, intraMIN, intraKID) also contains a full-spectrum, plant-derived trace mineral base. 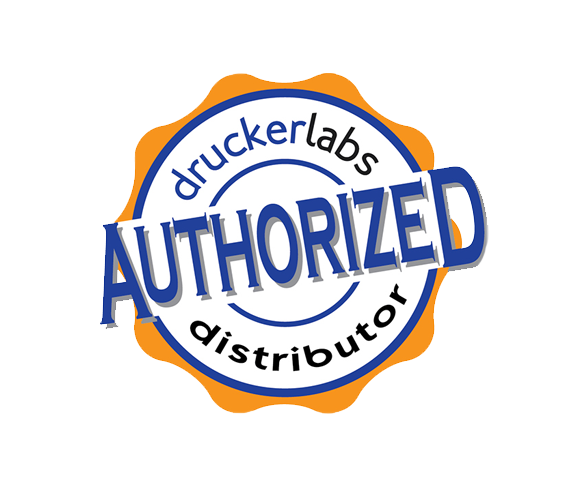 Drucker Labs now manufactures and distributes their all-in-one liquid nutritional supplements through Health Care Practitioners. The Drucker Lab name is known to portray the highest of nutritional quality. Compare intraMAX 2.0 to any other product and you'll will soon realize that this new formula of intraMAX 2.0 liquid vitamin is the most scientifically advanced, clinically proven, health promoting organic vitamin available in the marketplace. Uses the capability of fulvic acid to distribute nutrients for maximum absorption and bio-availability. The Physicians Desk Reference advises vitamins are 98% absorbed in liquid form but only 20% in pill. intraMAX 2.0 liquid vitamin contains more organic nutrients than are included in most people's diets. It's ability to fill the gaps in your nutritional requirements is impressive. Created by Dr. Richard Drucker, M.S., N.D., Ph.D., a highly respected doctor in the natural health field, intraMAX is clinically tested and used by many of the best healthcare practitioners. Drucker Labs uses proprietary CellV™ Technology which enhances vitamin, enzyme and nutrient absorption. Does not contain wheat, yeast, gluten, corn, soy, animal products, dairy, antibiotics, starch, herbicides or pesticides. Every bottle of is given an inert, protective coating prior to being filled to ensure chemical-free purity. Available in 32 fluid oz. full size or 2 fluid oz. travel size. All you need is 1 capful of intraMAX 2.0 liquid vitamin daily and you're done with your foundational vitamin supplement. No handful of pills to remember to take. Manufacturing process allows no harsh chemicals or toxins. Ingredients are naturally chelated with fulvic acid for almost 100% bio-availability. IntraCELL V Technology boosts detoxification by surrounding toxic, inorganic molecules with organic carbon. Consists of true, organic microcomplexed carbon-based trace minerals and nutrients. NO wheat, yeast, gluten, corn, soy, animal products, dairy, antibiotics, starch, herbicides or pesticides. IntraMAX 2.0 is ULTRA-hypoallergenic and designed especially for those with chemical sensitivities. Every bottle contains an inert, protective coating prior to being filled to ensure chemical-free purity. What are the Benefits of IntraMAX® 2.0? Stands ahead of all other multivitamins. Provides optimum daily allowance of all essential vitamins and nutrients. Boosts maximum energy, stamina, and vitality. Antioxidant support the reduction of free radical damage. After your dose follow with 6-8 oz. filtered water, never tap water. For best results hold product under your tongue for 30 seconds then swallow. Adults: 1 fl oz per day an empty stomach followed with plenty of filtered water or as directed by your Health Care Practitioner. intraMAX® 2.0 is best taken on an empty stomach (at least 30 minutes before or after eating), because the intraCELL™ V technology will increase absorption of any item it encounters in the system. When users are just beginning an intraMAX® 2.0 nutritional program, 1/2 ounce once daily may be sufficient. After 4-7 days of successful treatment, an additional 1/2 ounce may be added. This may be taken in one dose or two. Many who use intraMAX® 2.0 respond best to 1/2 oz in the am and 1/2 oz in the afternoon. Do not take intraMAX® 2.0 after 6 pm as the 65 organic electrolytes which provide natural energy may prevent sleep. In this randomized, gold-standard, double-blind placebo-controlled study intraMAX ® was shown to be a safe and highly effective means of improving one’s nutrition while helping to maintain or improve cellular system functions. Details of the efficacy results supported by the clinical study's findings on intraMAX can be grouped into the following four areas: energy, cellular function, detoxification, and optimal wellness. View the clinical study paper here. How is intraMAX® 2.0 different from other dietary supplements on the market? The suggested serving size for intraMAX® 2.0 is 1 fl oz per day. The full-sized bottle contain 32 servings, and the travel-sized bottle contain 2 servings. How long does intraMAX® 2.0 last? Unopened bottles of intraMAX® 2.0 can be stored in a cool, dry environment for approximately 9 months. Once opened and refrigerated all intraMAX® 2.0will last up to 60 days. Why is intraMAX® 2.0 in liquid form? intraMAX® 2.0 is created using a proprietary carbon-bonding process called intraCELL Technology. This technology allows living carbon to bind to nutrients within each product in order to provide a faster, more efficient absorption rate. Though science plays a major role in our products, nothing replaces the necessity of nature. That is why our core ingredients come from whole food sources such as fruits, vegetables, and herbs. The result is complete liquid nutrition all-in-one ounce. Why is intraMAX® 2.0 considered vegetarian but not vegan? Our all-in-one dietary supplements, intraMAX 2.0 and intraKID 2.0 are not considered vegan because both products contain bee pollen, bee propolis, and royal jelly. These ingredients are naturally-derived byproducts of bees. However, the trace mineral supplement, intraMIN® Tropical Fruit is a vegan product. Should I be concerned about heavy metals in intraMAX® 2.0? No. 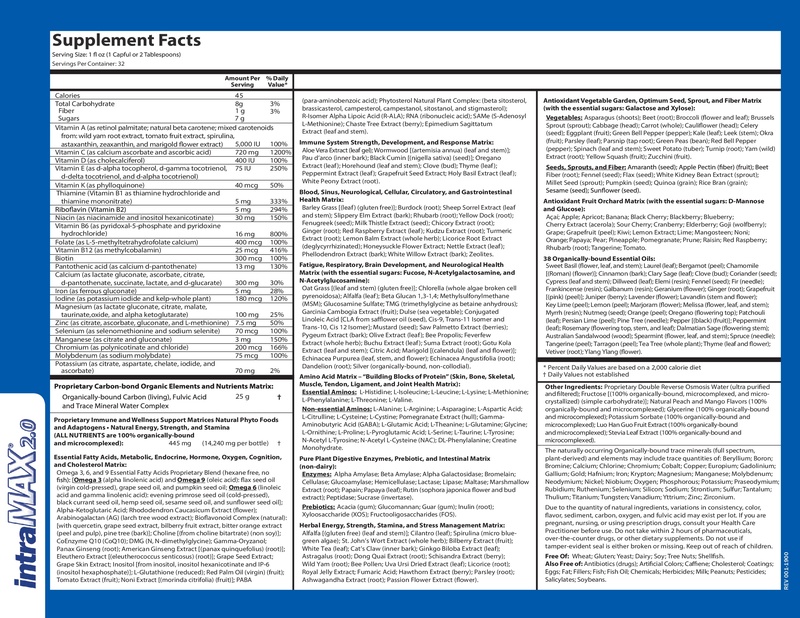 Heavy metals in our products are well below the daily limits established by the FDA . The manufacturer tests every lot to ensure that these standards are met prior to your product being released for distribution. Why are ingredients like aluminum and fluoride in your products? All intraLINE products contain over 71 trace minerals in a fulvic acid base. The fulvic acid is obtained through a soil extraction method which simultaneously yields minerals and other elements which are naturally present in the soil. Many of the trace minerals assist in maintaining health and well-being. These trace minerals include aluminum and fluoride among others and are not present in any measurable amount. What are the facts about fulvic acid? When fulvic acid is produced in nature, phytochemicals from plants become very concentrated. The traits of fulvic acid are akin to the bio-active and organically complex material it was produced from. The benefits are similar in almost all mammals and are enhanced over time. All supplements, therapeutic substances, herbal extracts, and pharmaceuticals can be linked to the chemical makeup of fulvic acid. Every microbe, plant, or animal on earth, whether extinct or living, has DNA that has become a purified constituent of fulvic acid. A number of plants, primarily microscopic ones, are involved in the production of fulvic acid. The production of fulvic acid is a recycling cycle as fulvic acid gives a consistent rise in health to later successors. Today's methods of agriculture and waste management have interfered with nature's natural processes and have led to crop deterioration that has led to health deterioration. During the Ming Dynasty of the 15th century, Li Shi Zhen noted the use of "Wujinsan" (golden medicine) containing fulvic acid as the necessary ingredient. In order to reduce the oxidation of intraMAX® 2.0, always refrigerate your product after opening. Refrigeration slows this natural process. Should I take calcium/magnesium in conjunction with intraMAX® 2.0? intraMAX® 2.0 is an all-in-one product and does not require supplementation with any extra minerals, herbs, digestive enzymes, vitamins, antioxidants, or probiotics. The measurements and ratios are all optimized. The human body operates most effectively with calcium citrate, calcium succinate, and calcium ascorbate, which are included in intraMAX® 2.0. What, if any, clinical studies been done? Dr. James A. McHale, Director of Research and Development at Atlantic Regional Osteoporosis Specialists released a study entitled, A Clinical Evaluation of the Metabolic Response to a 100% Organic Microcomplexed Dietary Supplement, available here. 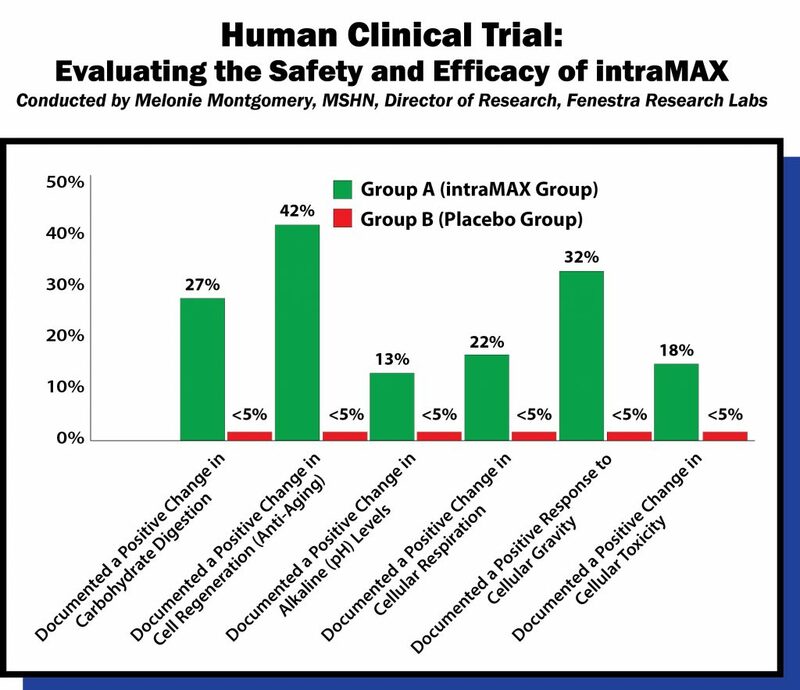 Melonie Montgomery, Director of Research at Fenestra Research Lab released a study entitled, Evaluating the Safety and Efficacy of intraMAX - A Randomized, Gold Standard, Double-Blind Placebo Controlled Study, available here. Should I purchase intraMAX, intraKID or intraMIN products through Amazon or eBay? Oasis Advanced Wellness along with the manufacturer does not recommend that you purchase these products from online retailers found on Amazon or eBay. These retailers are not authorized distributors of intraMAX® 2.0, intraMIN® or intraKID® 2.0. You may receive product that has been compromised because it has expired, has not been stored optimally, has the expiration and lot identification code missing, etc. We recommend that you purchase only through authorized distributors. OAWHealth.com is a recognized distributor in good-standing of the intraMAX 2.0, intraKID 2.0 and intraMIN products. BE AWARE: If you purchase intraMAX® 2.0, intraKID® 2.0, intraMIN® products from eBay and receive a bottle of product that has an Oasis Advanced Wellness label on it, you have purchased from a fraudulent eBay seller. This is a scam and we ask that you notify us and eBay immediately that the seller is using stolen credit card numbers under your name when purchasing intraMAX® 2.0 from us. What is your return policy for intraMAX® 2.0? This information is necessary in order to process your Return Authorization Number (RAN). The manufacturer requires an RAN for all returned product. Upon product receipt, we will exchange your product or refund your purchase. Any and all damages must be be reported within 24 hours of receiving shipment from Oasis Advanced Wellness.